Fueling U.S. 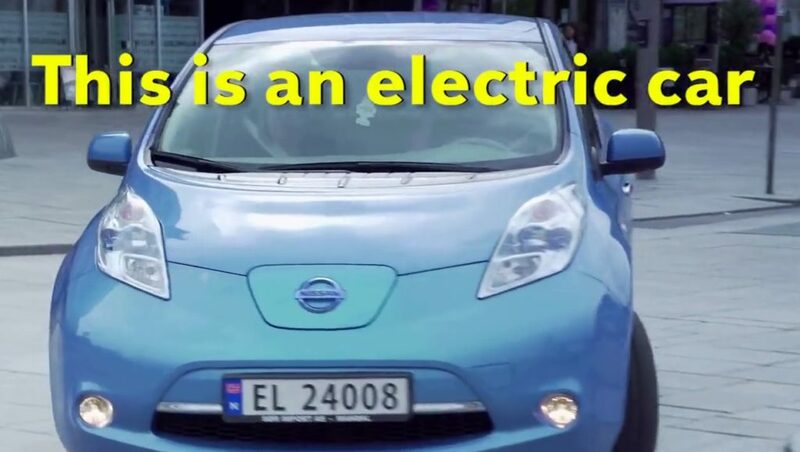 Forward, the Koch-funded campaign to “rebrand” fossil fuels as “positive” and “sustainable,” has released a new video attacking the “Dirty Secrets of Electric Cars,” signaling a possible strategic pivot from straightforward fossil fuel cheerleading to electric vehicle (EV) and clean energy bashing. The video and accompanying Dirty Secrets of Electric Cars” page feature blatant factual errors, misleading statements, and glaring omissions (all of which will be debunked thoroughly below), while essentially attacking electric cars for using the same materials that are needed to manufacture cell phones, laptops, defense equipment, gas-powered cars, and that are even a critical component of the very oil refining processes that form the foundation of the Koch fortunes. This depends on an exceedingly narrow definition of “toxic.” If you only consider the materials that go into the batteries of electric cars versus the batteries of “average” cars, then maybe this is defensible. But if you consider the materials that go into the entire vehicle, and also the fuel that is used to power the vehicle, than EVs are far cleaner and less toxic. First, there’s the fact that gas-powered vehicles require some of the same “toxic” rare earth metals that the video criticizes. (More on that below.) Then there’s the even bigger issue that tailpipe emissions—including ozone, particulate matter, and other smog-forming chemicals—are the dominant source of ground level air pollution, and nearly one half of all Americans live in areas that don’t meet federal minimum air quality standards. In fact, emissions from road transportation cause roughly 53,000 premature deaths every year in the United States, according to MIT researchers. First, a fact check: cobalt and lithium aren’t rare earth metals. This isn’t to say they aren’t problematic—cobalt mining in particular is particular is plagued by some very serious environmental and labor problems, as have been well documented in reports by Amnesty International and the Washington Post. But these problems are economy-wide. Cobalt is used widely in the lithium-ion batteries that power most cell phones and laptops. (See the subhed of the very Washington Post article that the FUSF video cites: “Tracing the path from deadly hand-dug mines in Congo to consumers’ phones and laptops”.) There’s no question that lithium-ion battery manufacturers have to clean up their supply chains, but that’s something that Apple and and Panasonic and Samsung are as responsible for as Tesla and Ford and General Motors. Actually, cerium is used in nickel metal hydride batteries that are common in hybrid motors, but isn’t used in the lithium-ion batteries that have been utilized in plug-in vehicles in nearly a decade. But cerium oxides are also found on every catalytic converter fitted into an internal combustion vehicle. That’s right — every gas-powered car relies on this rare earth metal that Fueling U.S. Forward criticizes. This last point is simply untrue. First of all, very few electric vehicle batteries have even run through their usable lives. Once they do, companies are already lining up to start recycling them, either for use on the electric grid, or to be disassembled and the materials reused. Some of the components of electric car batteries have localized health and environmental impacts. But compared to the alternative—pollution and carbon spewing internal combustion vehicles—electric cars truly are much cleaner from cradle to grave. Correction: An earlier version of this article stated that “cerium is used in the batteries of electric vehicles,” whereas it is actually used in nickel metal hydride batteries common in hybrid motors, no longer in plug-in vehicles. We appreciate those who reached out to note the error.